It was our great privilege to have had Australia's foremost Pop artist, Martin Sharp, as the Patron of South Hill Gallery. Regarded as this country's most prominent Pop artist, Martin Sharp made significant contributions to Australian culture from the early 6Os, with his posters and record covers in particular receiving international recognition. 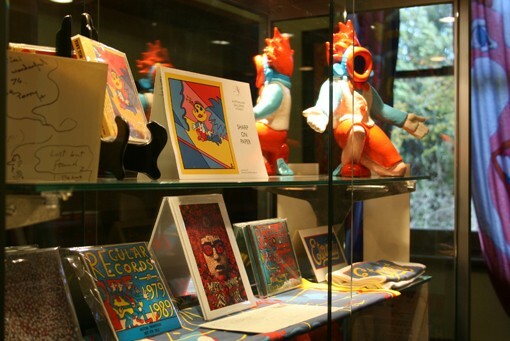 South Hill Gallery consisted of three galleries exhibiting contemporary artists on a monthly basis, as well as a room with a permanent collection of artwork and memorabilia from the 60's pop artists and associates of the Yellow House.